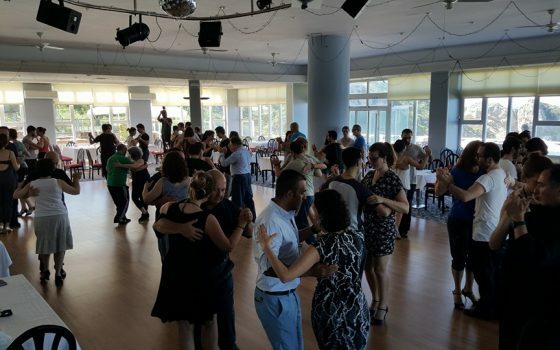 We are a tango school located in Cihangir, İstanbul. 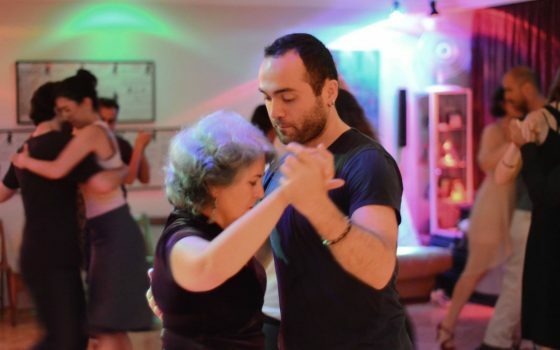 Tango is a dance that does not have an age limit, anyone who feels the beat of Tango in their hearts can dance, and as long as we can stand on our two legs tango will reside in our lives. Tango is not only a dance but its a way of life. A first step in tango is like slowly opening the door of a world that is much larger than imagined. Tango is magical, so much that we can feel a country, like Argentina, that is on the other side of the world, as if we are in it. It can bring together many cultures, however long the distances. The world is not as big as it seems, life is not as long as it seems and Tango is not as difficult as it seems. We dance Tango so that the whole world can unite, so that our lives get coloured up, so that you can view all challenges in your life from a different point of view. 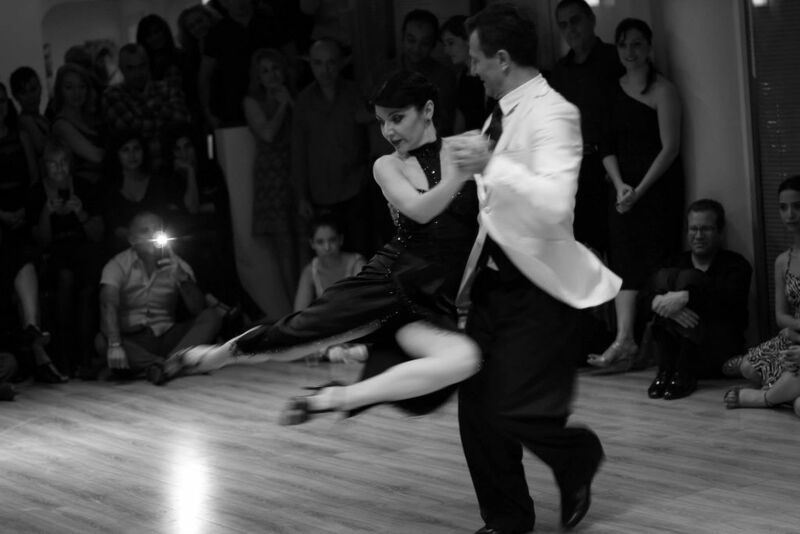 Everyone should give themselves a chance when it comes to dance, especially if it’s tango. Financial concerns are the first obstacle that comes to mind, but there are many other factors that usually keep people from taking a step. 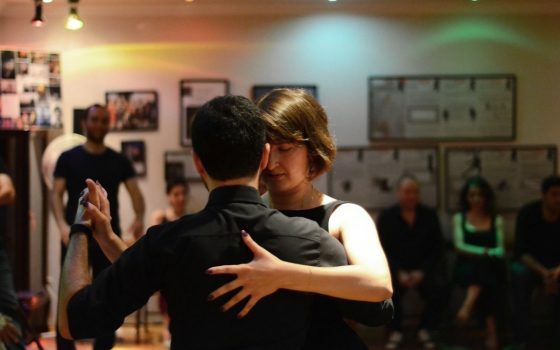 The hectic city life, long working hours we all have, not having enough confidence in oneself and the all famous ‘I am not talented’ expression should not become obstacles in your way to start dancing tango. Starting with the first concern, we have to tell you that tango is one of the least expensive hobbies you could ever have. Doing something for yourself once or twice a week is also necessary for you to rejuvenate, no matter how busy our lives are. And when it comes to not being talented, you never know if you never try. Some of our most successful students thought they were not talented before they started out. So let’s remove these obstacles to gain some fresh insights into your life through art, music and culture. We would like to invite you over to your first lesson, to introduce you to tango, to us, to our classes and exercises and to our studio. After this session you can decide if you wish to continue or not. 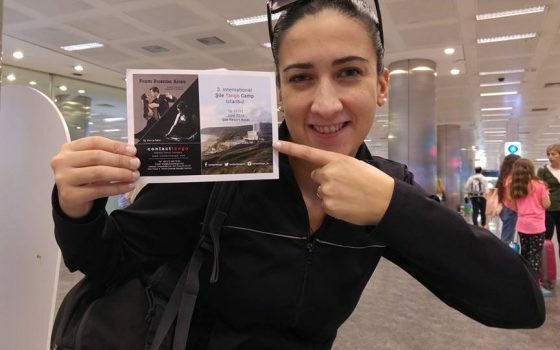 The exercises in this class are about fundamental subjects such as posture, body awareness, healthy body positioning; therefore your visit will be useful not only for a good beginning in tango but also for a good body attitude in daily life. We teach you to dance all over the world - Be Global! 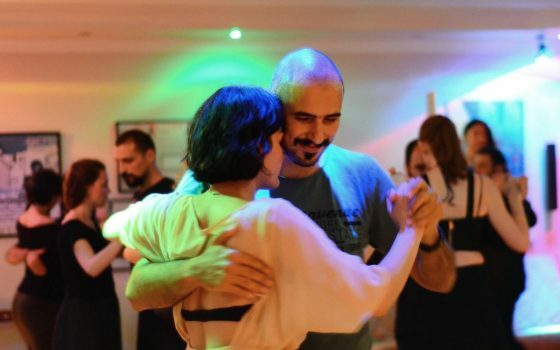 With what we teach, you will be able to dance tango anywhere around the world, including, of course, Argentina, the birthplace of tango. In any of our classes, you will not find us trying to make you memorise figures. We convey the systematics of tango, the knowledge of music and the general body formation for dance in the best way possible. Thus, even if you give a break to tango, when you return, you can move on from where you left because your body will remember everything you had internalised. HJust as in any subject, a good ‘knowledge base’ is one fo the most important things in learning tango. From your first day on, we transfer this knowledge systematically. 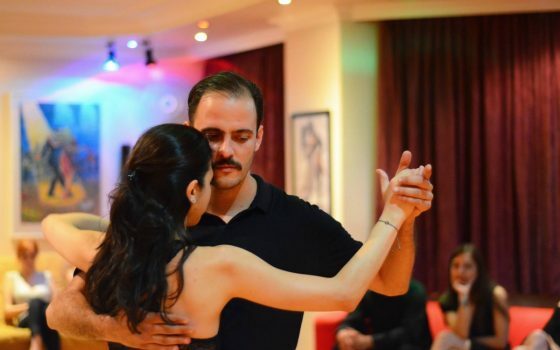 We know that when there is a problem with the fundamentals, any development on top of that becomes shaky; so we give special importance to teaching the fundamentals of tango in the beginner classes. Reading the CV’s of trainers will always give you a celarer picture of what kind of school you are contacting. 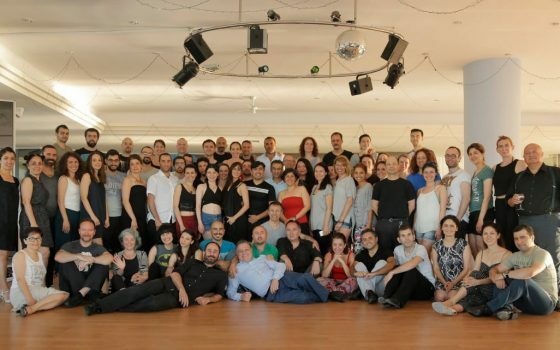 In the training you receive from us, you will get the chance to work with a highly experienced dancer, dance instructor and choreographer Erdal Atik, who has the aim of sharing his 35 years of dance experience with those who wish to dance tango, as social dancers or professionals. What a simple way to put it, isn’t it? But as much as it is simple, it’s just as hard to reach the actual content of this sentence. Tango is a dance that is not so easy, it requires effort. But somehow as you start to learn, it permeates the mind and the heart with great pleasure. The roads that we walk with patience very quickly turn into a journey on which we meet all pleasant sides of tango. Tango is made up of three steps, forward, side and back. This may again sound very simple but when one thinks about these three steps coming from two bodies and four feet, one comes face to face with an infinite number of combinations and rich variations. 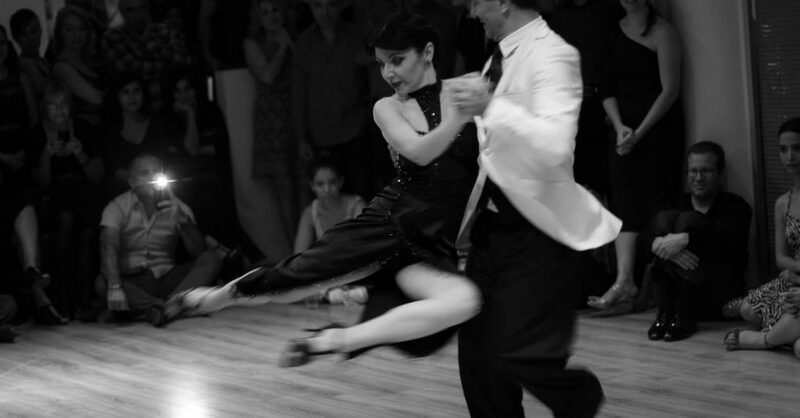 And when this richness is moulded into the rhythm and the melody, that’s where the magic of Tango comes to life. 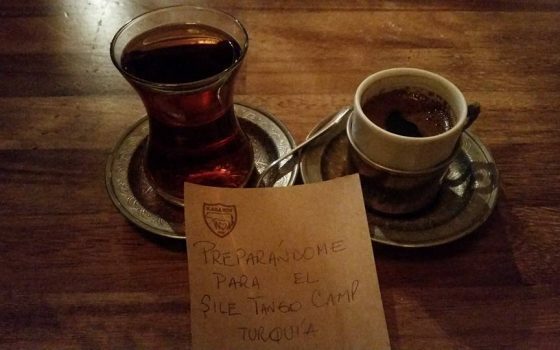 This enchanting beauty can very quickly become a standard of living, leading you to listen to more tango music, going to many more milongas (tango nights) and dressing up within a Tango line. All of these changes bring to one’s life much color, novelty, quality entertainment and a sophisticated social environment. Most importantly, tango helps us improve personally, by means of boosting self confidence, patience, diligence and elegance.